Rick, or Big Rick as he’s known around here, has mammoth sized charisma. 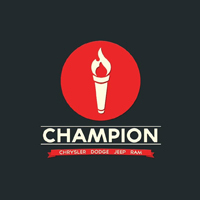 He’s been with Champion for over 25 years, and was an electrician before that. This explains his electric personality, and how he’s able to make anyone light up with a smile very easily. A Mississippi native who spends his spare time fishing, watching football, and relaxing with friends. He adores the people he works with, always trying to make everything light-hearted and pleasant. Big Rick will go out of his way to take special care of you.